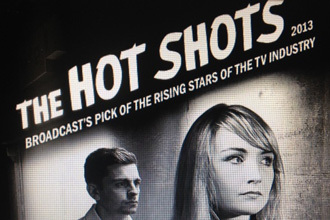 Congratulations to our Colourist and Online Editor, David Gonzalez Lozano, for being named one of the Broadcast 2013 Hot Shots! It is terrific news for him and our post production team in Soho. The entries focus on talented under-30s working in TV with established work to their name. Read the comments from this week's Broadcast magazine below. 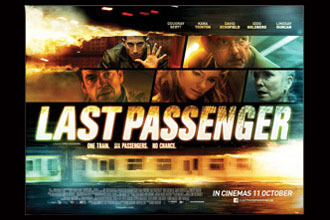 Last Passenger is a new suspense thriller, now due for release in cinemas from 18 October. The British film revolves around a man and his young son, travelling home on the last train of the day when the journey takes a sudden turn for the worst. It stars Dougray Scott and Kara Tointon. Shot at Shepperton Studios, where ONSIGHT's camera department is based, the team supplied Alex Plus equipment and editing solutions. Here is our story at the time the shoot wrapped. Recognised for their culinary ventures, the Hairy Bikers are back with a new special series. 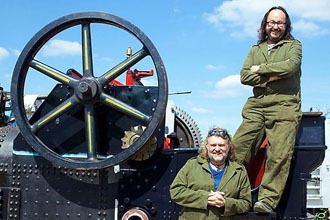 For the first time ever, they’re focus is not on food, but industrial heritage in The Hairy Bikers' Restoration Road Trip. To capture the action, ONSIGHT’s camera department provided Canon EOS C300s over a number of weeks, using the EF Mount zoom lenses. The 3 x 60 episodes are produced by Arrow Media for the BBC. Penguins 3D is a new film, produced by Atlantic Productions in association with Sky and US-based Galileo Digital Entertainment. ONSIGHT provided full production facilities. The film is available as 40- and 20-minute versions in 3D and 2D, 15-perf./70-mm, and digital in 4K and 2K. 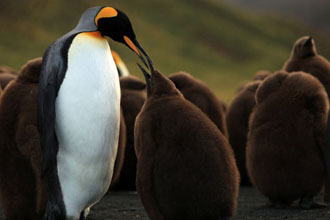 Written and narrated by renowned naturalist and filmmaker David Attenborough, the film depicts the fortunes of a young male King Penguin on the sub-Antarctic island, known as Penguin City. Among six million penguins, he must earn his place, find a mate and raise a family. 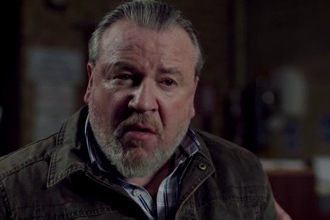 Leading Hollywood and British actors, including Ray Winstone, Charles Dance, John Simm, Neil Stuke and Tamzin Outhwaite, have come together to be part of a short film with a twist. ONSIGHT was proud to support the unique project by providing cameras and equipment through to full post production. The gripping drama is Father’s Day, which connects a group of characters in something big, to reveal just how they know each other - through prostate cancer.